Bella Hadid is such an incredible model and inspiration. She’s always so real and hardworking, and on top of that, she’s only 20 years old! And she keeps continuing to amaze us, this time by opening up about her struggle with Lyme Disease. As some of you may know, Lyme Disease can be an incredibly debilitating illness that can lead to chronic pain and affect the sufferer’s everyday life in major ways. That’s why it was so incredible to hear Bella open up about her experiences with the disease as one of the four honorees at the Global Lyme Alliance on Friday. It’s so refreshing to hear Bella be honest about her struggle with chronic pain, and we feel for her so much. Having a modeling career is hard enough, but on top of that, she’s battling a disease that saps her energy every day. It’s really a testament to how amazing she is. 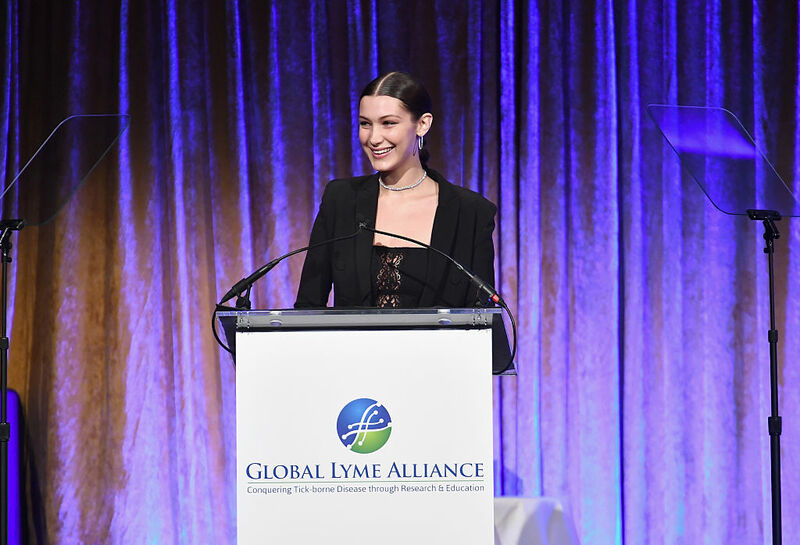 And great news for the Global Lyme Alliance — according to Bella, they were able to raise $2.7 million for research! We’re so proud of Bella for using her voice and experiences to help others! She really is an amazing role model for girls the world over.